I don’t know about you, but I’m into this! The fan art from ShatterverseEnt (via Reddit) is very much in line with the vision of The Batman, which Matt Reeves has said will be a “noir” tale. Since the Caped Crusader will also be tapping into his detective skills more than ever, facing the sneaky clues the Riddler leaves behind could certainly fit right into this kind of narrative. The last time audiences saw The Riddler on the big screen in live action, he was cleverly played by Jim Carrey and worked with Tommy Lee Jones’ Two-Face, opposite Val Kilmer’s Bruce Wayne in 1995’s Batman Forever. Riddler is a great choice to be featured among other villains and Pegg would certainly deliver a completely different take on the character than Carrey. He could pull off healthy combination of sinister and entertaining. Pegg is no stranger to delivering a solid performance in beloved blockbusters, such as Scotty in the new Star Trek films and as Benji in the Mission: Impossible movies. The actor has also been a part of some comedy classics including Shawn of the Dead, Hot Fuzz and Paul. 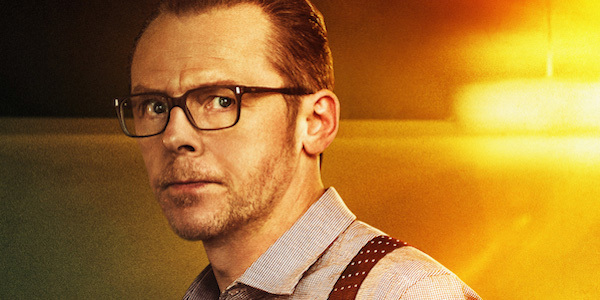 With the recent announcement of upcoming Mission: Impossible 7 and 8 coming in summer 2021 and 2022, Simon Pegg could be booked for the foreseeable future if he signs on for the final two installments to be helmed by Christopher McQuarrie. However, since Star Trek 4 doesn’t look to be happening after being in development hell since 2015, The Batman could serve as a sweet replacement if he has the time for it. So far, we know that Matt Reeves’ The Batman will not be featuring Ben Affleck as the titular hero. Bruce Wayne will be reportedly be played by a younger actor who has yet to be cast. Among the rogues gallery, Penguin will likely be one of the villains facing Batman. We’ll have to wait and see if Riddler ends up joining as well. Simon Pegg could be a good choice, but Reddit users were sounding off their other ideas for Riddler, including David Tennant, Michael Emerson and Jim Parsons. There’s loads of talent to go around, and as casting begins shortly, fans will start getting some answers. The Batman is set to open on June 25, 2021, and rumor has it, the movie will begin filming fall of this year.